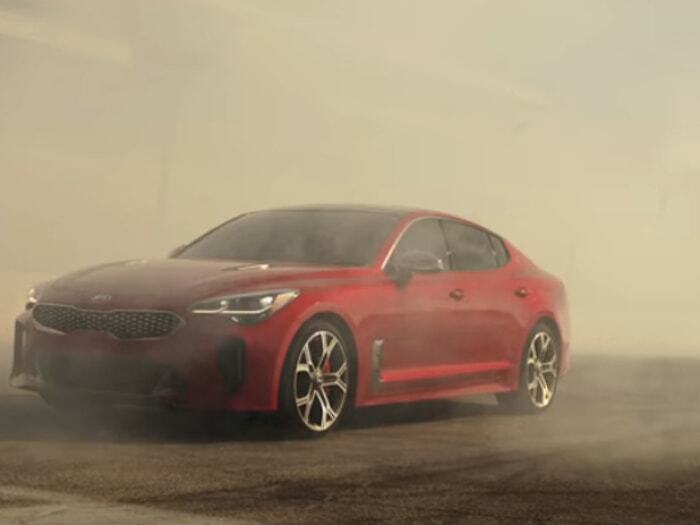 Kia decided to advertise their all-new Stinger GT during the third quarter of Super Bowl LII, and it paid off big for the South Korean automaker. As the Philadelphia Eagles were beating the New England Patriots, Variety.com says 103.4 million viewers, saw ads from several car brands during pre-game, halftime, and the game, including Toyota, Kia, Hyundai, Lexus, Ram, Jeep, and Mercedes-Benz. This year, the new 2018 Kia Stinger saw the greatest lift in shopper interest as a result of its “Feel Something Again” spot featuring Steven Tyler. JumpstartAuto.com analyzed each of the car ads to track shopper behavior during and after the game Sunday night and Kia Stinger was the big winner at Super Bowl LII. According to Jumpstart, Kia’s “Feel Something Again” spot for its Stinger produced the largest increase in visitors during its peak (after the ad aired) compared to its average visitors throughout the game. Jumpstart found In comparison to the four Sundays prior, the Stinger’s share of interest was up 238 percent, and the Stinger jumped 43 spots, ranking as the 12th most-viewed vehicle on Super Bowl Sunday. Just two minutes after the spot aired in the third quarter of the game, 46 percent of Jumpstart’s audience was viewing the Stinger, and it held three of the top 10 pages. Lastly, 88 percent of Stinger traffic was from smartphones, 7 percent on desktop, and 5 percent on tablet. The all-new high-performance Kia Stinger, “Feel Something Again 3rd Quarter saw a 3960 percent increase in peak visitors versus the average. Lexus LS, “Long Live The King” was next with 2949 percent, Jeep Wrangler, “Evolution In Its Purest Form” at 1150 percent, Mercedes-Benz AMG E63 S, “Off The Line” at 977 percent and Jeep Wrangler, “Anti-Manifesto” at 822 percent. Kia is getting lots of interest in the new Stinger. The new Stinger performance Sports Fastback is one of nine finalists for the 2018 World Car of the Year title. It’s quite an accomplishment for the fast-improving Kia brand. On the list with Stinger is an impressive list of cars with Alfa Romeo Giulia, BMW X3, Land Rover Discovery, Mazda CX-5, Nissan LEAF, Range Rover VELAR, Toyota Camry, Volkswagen T-Roc, and Volvo XC60. Kia dealers may have a hard time keeping the all-new Stinger in their showrooms. If the Super Bowl LII ads are any indication, buyer interest will be high. The all-new 2018 Kia Stinger fastback sport sedan could be the best performance value under $40,000 in America.